I had one of those nights. I went to bed at my usual time and woke up at the normal hour. Based on the number of hours I was in bed, I should have been able to call it a good night’s sleep. But, it was one of those nights. I had one crazy dream after another. They were random and senseless, and I awoke feeling like I had not rested. I did discover a new word. It’s a word I’ve never heard before, and I wonder if there was something in one of those weird dreams that lead me to the word GURFA. The origin of GURFA is Arabic. 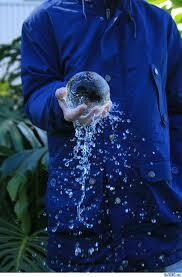 It is used in reference to the amount of water that a person can hold in one hand. Other than discussing it here, I doubt I will ever give much consideration to GURFA again. I’m not too concerned with the amount of water that person can hold in one hand. I am, however, very interested in the one person who can hold, in one hand, all the water you and the rest of the world will ever need.